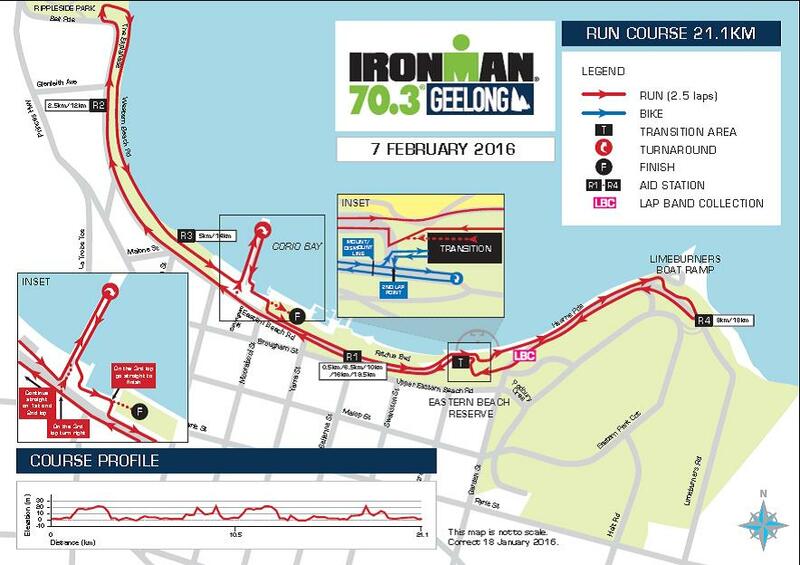 The swim bike and run courses have all changed for the 2016 edition of the race. 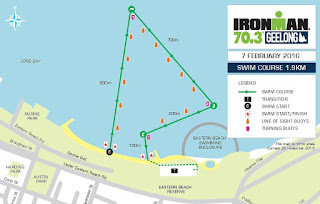 Points of Note : A wide starting area and ample swimming room to the first turn. Possible sun glare along the 700m stretch from the first to the second turning buoy. 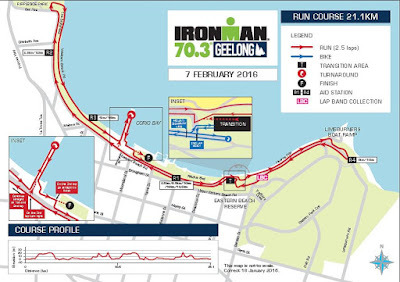 Generally a sheltered course from the elements. 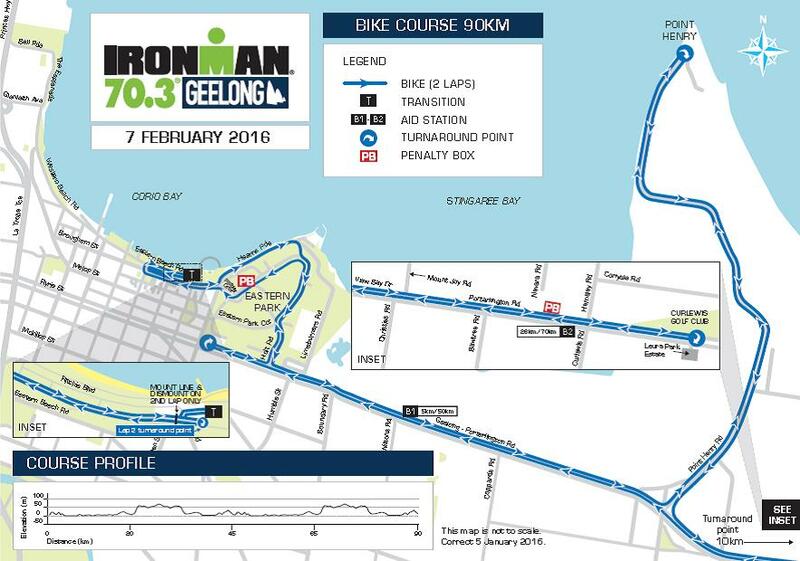 Points of Note : Think about your strategy of getting your feet in your shoes out of T1, as there is a hill 400m into the bike up Eastern beach, so feet need to be secured into your bike shoes by the start of the climb. 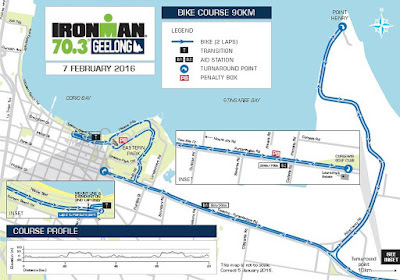 Points of Note : The run course has been altered, which will see slightly less hills on each lap with the omission of the Eastern Park Loop section. 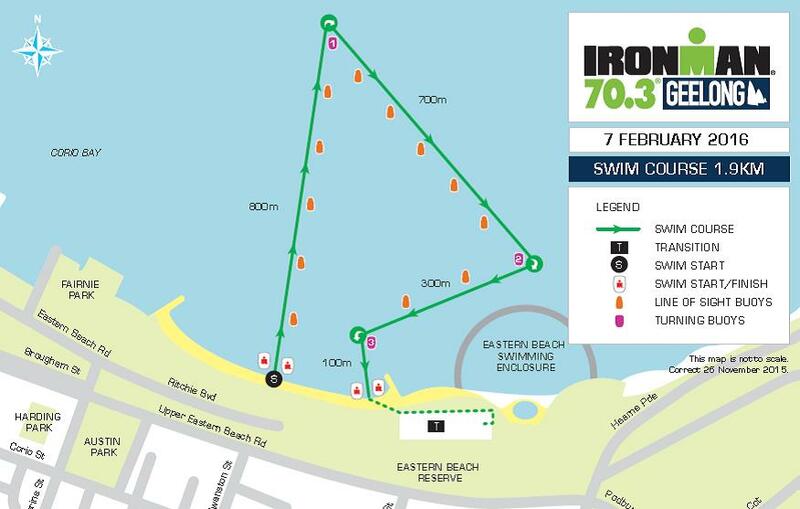 There are still four punchy climbs on the course to take note of though; the gradual climb running north along the Esplanade, the climb onto Hearne Pde once you pass the swim enclosure and two climbs at each end of Hearne Pde.